Deploying services with Docker has become pretty popular in the DevOps world (understatement). 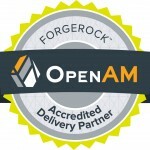 I want to demonstrate how to deploy an instance of ForgeRock’s OpenAM and OpenDJ using Docker. I am running this on a virtual Ubuntu instance in Virtualbox on my laptop. You can run Docker on both Windows and OS X too … I just personally prefer Linux. This will create a directory called “docker” in the above path. To enable a persistent store you can use docker’s volume capability. From the above command, “-v `pwd`/dj:/opt/opendj/instances/instance1” this tells docker to cp “/opt/opendj/instances/instance1” from the running instance to `pwd`/dj on the docker host. You can then kill this instance and then launch a new one, referring to the same volume. As we did with OpenDJ we tell Docker to create a volume, on the Docker host, and copy the OpenAM configurations to this location. This allows us to launch a new instance without having to reconfigure OpenAM. There are a lot of things that I did not cover in this post, specifically running multiple instances for scalability. 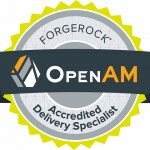 OpenDJ would need to be configured for replication and OpenAM would need to be configured to join a Site. I plan on covering these things in a future post. Also, I didn’t cover Docker best practices (specifally security). In your environment, treat your container ids as you would passwords. Lastly, I plan on exploring other options for persistent storage, in future posts. I am pretty sure there are better alternatives than storing this data on the Docker host’s filesystem. Possibly looking at creating another Docker container specifically for storage. Also, I have been gleaning a lot of Docker tips from @frazelledazzell … she drops a ton of Docker knowledge via Twtter and her blog. Thank you! Glad you liked the article. 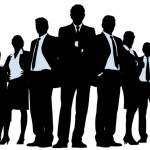 What are you guys doing with regards to DevOps? Do you still have these dockerfiles available? It looks like that git repo no longer exists.